Veronica Escobar left personalized messages to voters on the Beto O'Rourke campaign materials. McALLEN — Beto O’Rourke believes the United States-Mexico border, where he grew up, needs to stand up for itself. For so long, it had been taken advantage of in politics and the press. “The lingering question that we have in El Paso, that you may have in McAllen: Does the rest of the state and the country understand us, care about us, want to fight for us, want us to offer our best to this country’s future?” O’Rourke said after a campaign rally in McAllen last weekend. But will the border communities propel him into office and help unseat incumbent U.S. Sen. Ted Cruz? O’Rourke and those close to him believe the border can be a crucial indicator in November’s election. 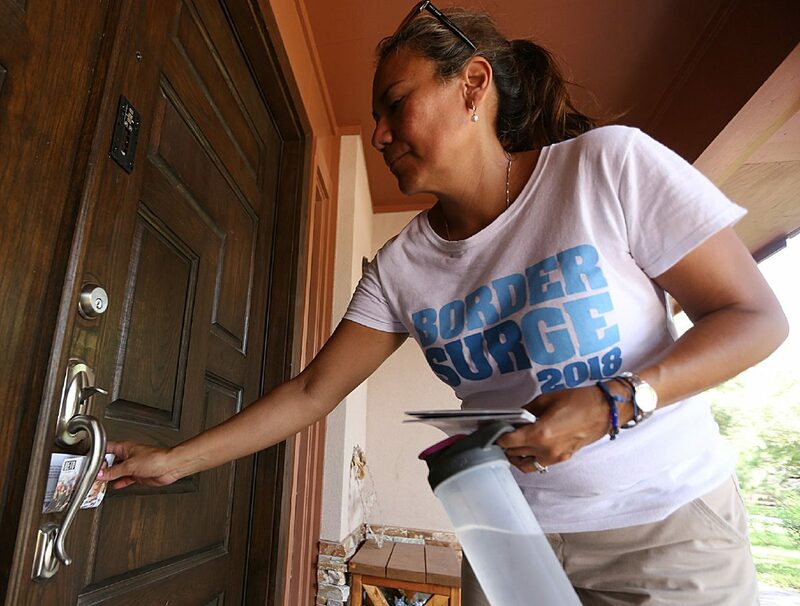 A group of more than 30 El Pasoans traveled to Brownsville, Laredo and McAllen last weekend, led by O’Rourke’s likely successor as the El Paso member of Congress, Veronica Escobar, who won the March Democratic primary for the El Paso Congressional seat. 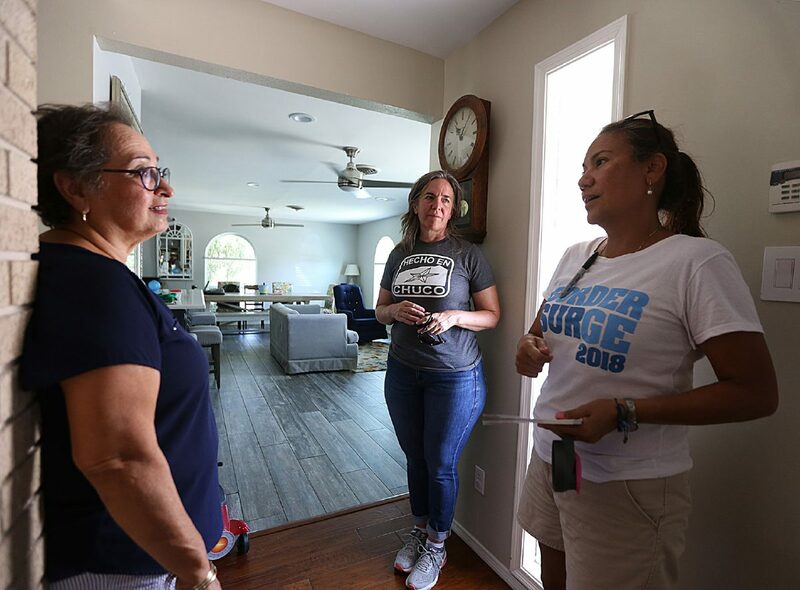 Vickie Pardo, left, listened to congressional candidate Veronica Escobar, right, who was campaigning for senatorial candidate Beto O’Rourke on Monday, Aug. 20, 2018, in McAllen. Pardo’s son waved the candidate down and invited her inside for water while block walking. 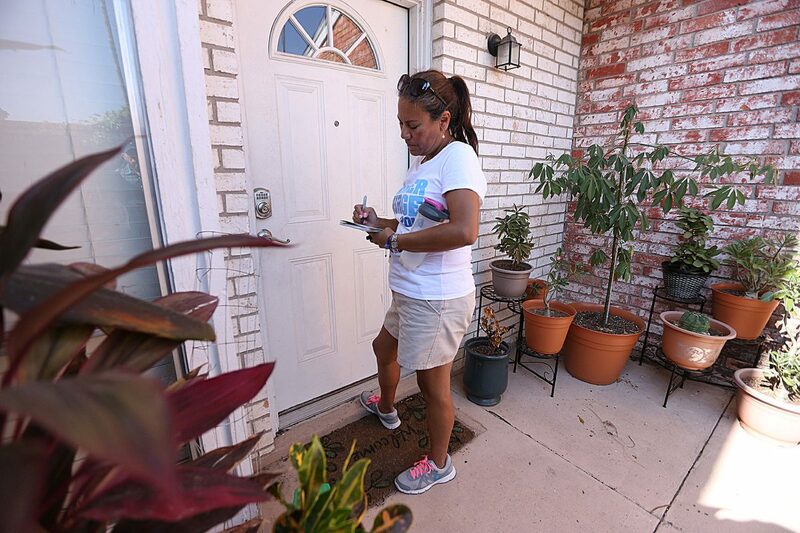 Veronica Escobar, and a group from El Paso, walked through a McAllen neighborhood north of Bill Schupp Park to talk to votes and leave literature. 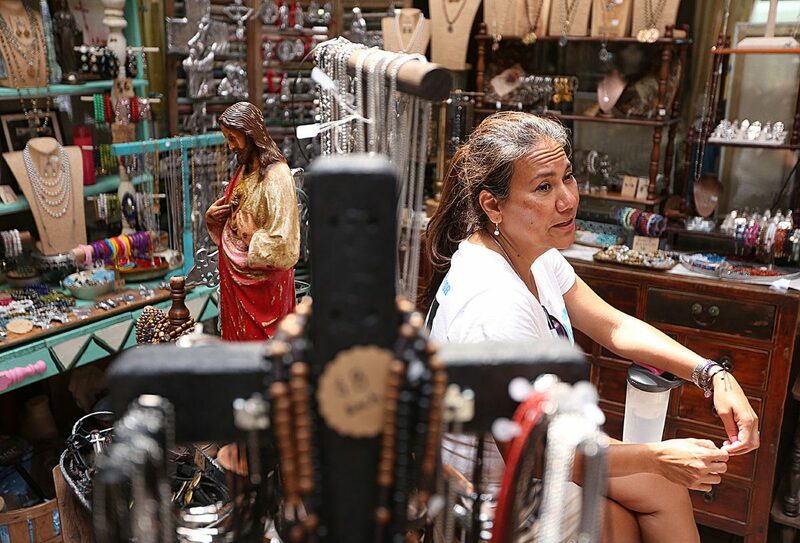 Veronica Escobar sits in McAllen resident Mari Rodriguez’s store in the front of her home. They called the tour a “border surge,” where they knocked on doors in the three reliably Democratic border cities. But the border traditionally doesn’t vote in large numbers. In Hidalgo County alone, only about 37,000 people voted in the March primary. As of the 2016 presidential election, there were roughly 339,000 registered voters in the county, according to the secretary of state. O’Rourke narrowly won Cameron and Hidalgo Counties in the March primary, and he lost Starr, Zapata, Webb and many others along the border. Escobar said if there’s a 15 percent voter turnout along the border in November, O’Rourke will win. Richard Longoria, a political science professor at the University of Texas Rio Grande Valley, agreed. So the border surge group on Monday morning split off from Bill Schupp Park in north central McAllen into various surround streets to knock on doors.